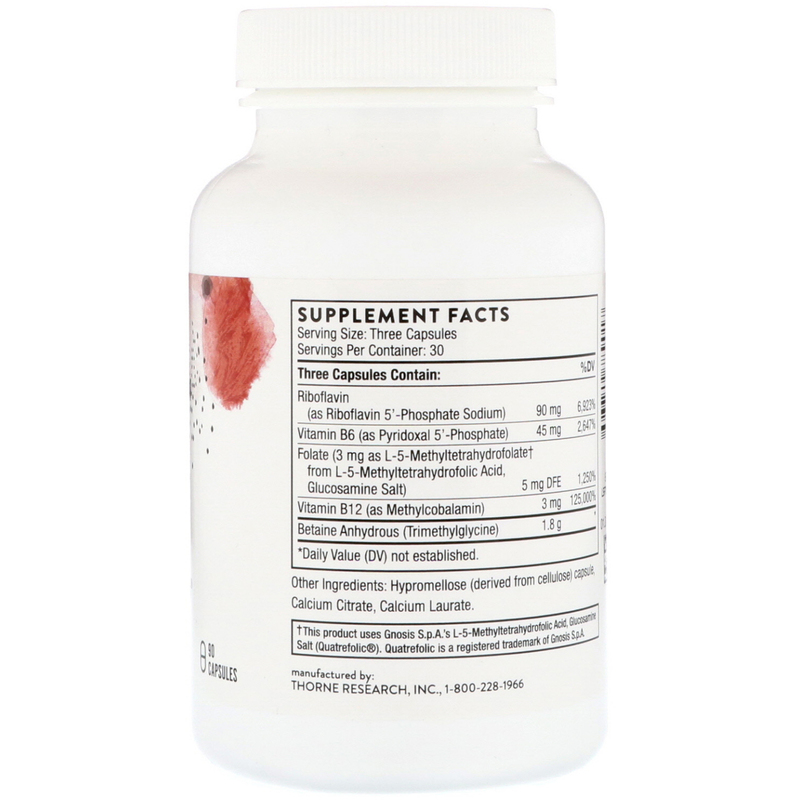 Supports heart, blood vessel, brain, and bone health by enhancing healthy methylation. Methyl-Guard Plus provides 5-MTHF (active folate) and the active, tissue-ready forms of vitamins B2, B6, and B12 to support healthy methylation for cardiovascular, cognitive, and bone health. Methylation is key to keeping homocysteine levels in check, as well as for facilitating multiple biochemical processes involving neurotransmitter synthesis, detoxification, cardiovascular health, eye health, muscle health, bone health, and redox balance. Maintaining a desirable level of homocysteine in the blood has joined healthy cholesterol and triglyceride levels as leading biomarkers for the maintenance of good cardiovascular health. Preventing an undesirable homocysteine level is also associated with the maintenance of bone, female reproductive, cognitive, and neurological health. 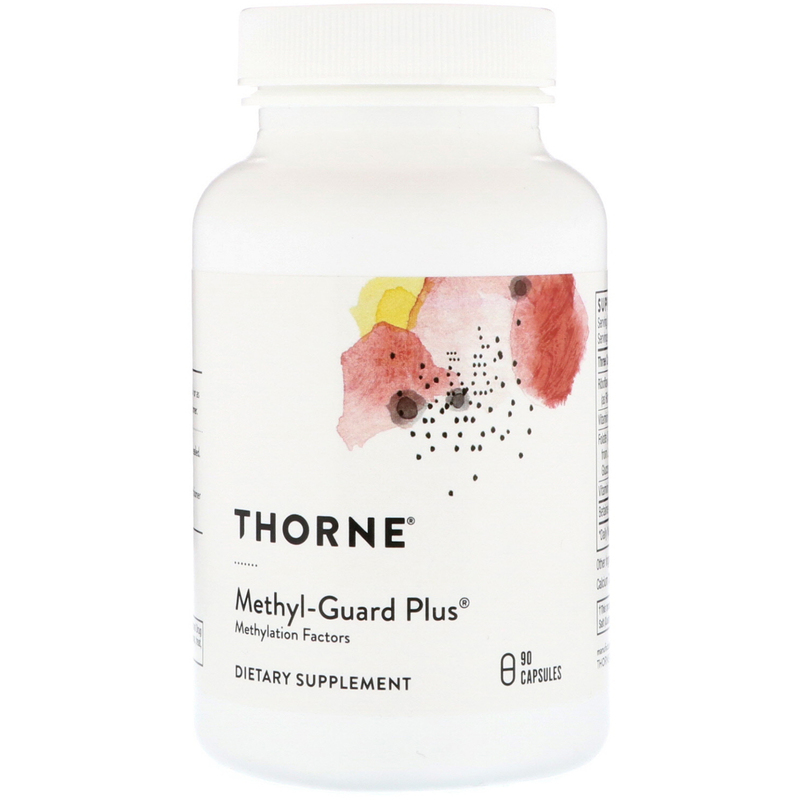 Methyl-Guard Plus supports methylation and promotes healthy homocysteine levels with betaine (trimethylglycine), 5-MTHF (the active form of folate), riboflavin 5'-phosphate (the active form of vitamin B2), pyridoxal 5'-phosphate (the active form of vitamin B6), and methylcobalamin (an active form of vitamin B12). Take 1-3 capsules daily or as recommended by a health-care practitioner. † This product uses Gnosis S.p.A.'s L-5-Methyltetrahydrofolic Acid, Glucosamine Salt (Quatrefolic).